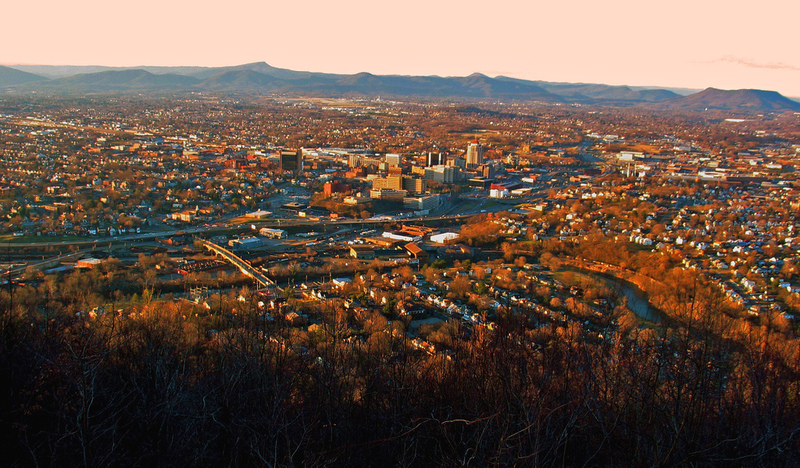 Air Charter Advisors arranges air charters and private jet services in Roanoke, located in the Roanoke Valley and the largest municipality in Southwest Virginia. Bisected by the Roanoke River, it’s the commercial and cultural center for the majority of Southwest Virginia and parts of Southern West Virginia. It’s metro area is composed of the independent city of Salem, as well as Botetourt, Craig, Franklin, and Roanoke counties, and is home to more than 300,000 residents. Enjoy the best deals and highest levels of safety and service when your book your private jet charter flight to Roanoke, VA with Air Charter Advisors. Our brokers offer instant access to private planes in southwest Virginia or wherever you’re flying from, finding you the best plane at the best price for each and every flight. Call to speak with one of our Roanoke jet charter brokers at 1-888-987-5387 , or request a free charter quote by emailing us for your upcoming flight. Our team is available 24 hours a day to handle all of your business and luxury aviation requests throughout the state of Virginia. The majority of jet charter flights to Roanoke, VA arrive at the region’s main airport, Roanoke–Blacksburg Regional (ROA). The only other option within 15 nautical miles of the city-center is Smith Mountain Lake Airport (W91), which is limited to flights using smaller piston and turboprop aircraft. There are several additional options between 20 and 35 nm, so make sure to discuss the goals of your trip with our brokers to determine which airport best suits your flight. Also known as Woodrum Field, Roanoke–Blacksburg Regional Airport (IATA: ROA, ICAO: KROA, FAA LID: ROA), is located 3 miles northwest of the city. The airport is equipped a control tower, two asphalt runways (6,800 feet & 5,810 feet) for private jets, and a private terminal on-site for expedited travel, heightened security, and upscale travel services. The FAA estimates around 609,000 passengers annually at Roanoke–Blacksburg Regional (ROA). Located 4 miles southeast of Moneta, in Bedford County, Virginia, Smith Mountain Lake Airport (FAA: W91) is a privately owned airport that is open to public use. Smith Mountain Lake (W91) primarily serves general aviation for the surrounding areas, equipped with a 3,058 foot runway and an FBO operated by the airport. Charter a private jet to Roanoke, a charming city with beautiful views of the Blue Ridge Mountains, located in the middle of a valley between Maryland and Tennessee. 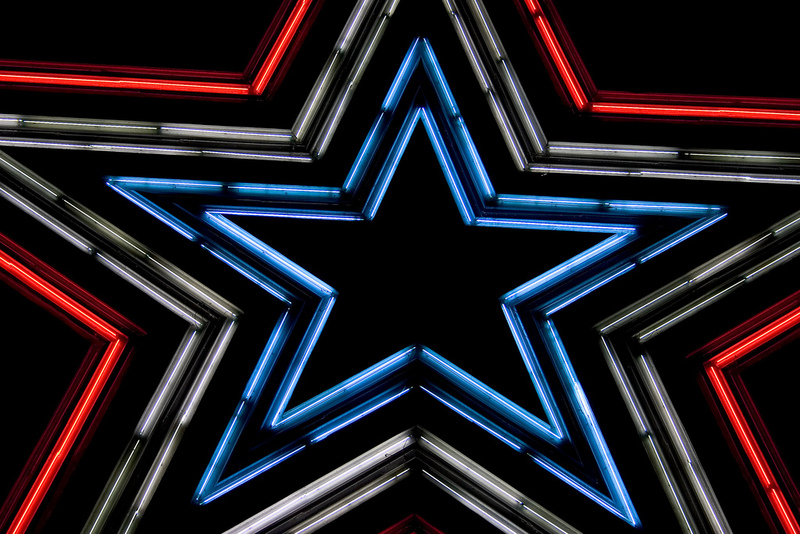 Roanoke is often referred to as “Magic City” and the “Star City of the South“, with a colorful, 100 foot star overlooking the valley from the top of Mill Mountain. It’s a popular college town with Virginia Tech in nearby Blacksburg, and many visitors travel here during the summer & fall to the rive through the beautiful Blue Ridge Mountains. The town began as “Big Lick” in 1852, named after salt deposits which attracted wildlife to the nearby river. The town’s location in the Blue Ridge Mountains between Maryland and Tennessee made it the transportation hub of western Virginia, and led to rapid growth. During colonial times, it was an important hub for trails and roads. In fact, it was the destination of one of the most heavily traveled American roads during the 18th century, with the colonial Great Wagon Road running from Philadelphia through the Shenandoah Valley to the site of Big Lick. In 1882, the town officially became Roanoke, which originates from the name given to the river by the Algonquian. At the time, its economy was heavily reliant on the Norfolk and Western Railroad, with a main focus on manufacturing and textiles; it was once a center for the Sun Belt’s garment industry. Today, the city has become the media, health care, and commercial/retail center for much of southwest Virginia. Advance Auto Parts, one of the nation’s largest auto parts retailers, is headquartered here, and UPS operates a major cargo facility at Roanoke Regional Airport. Thanks to it’s riverside valley location, there are a ton of activities to enjoy in Roanoke, from boating, camping, fishing, and hiking, to shopping, fine dining, festivals, holiday parades, Old Salem Day’s, and Virginia Tech Football. 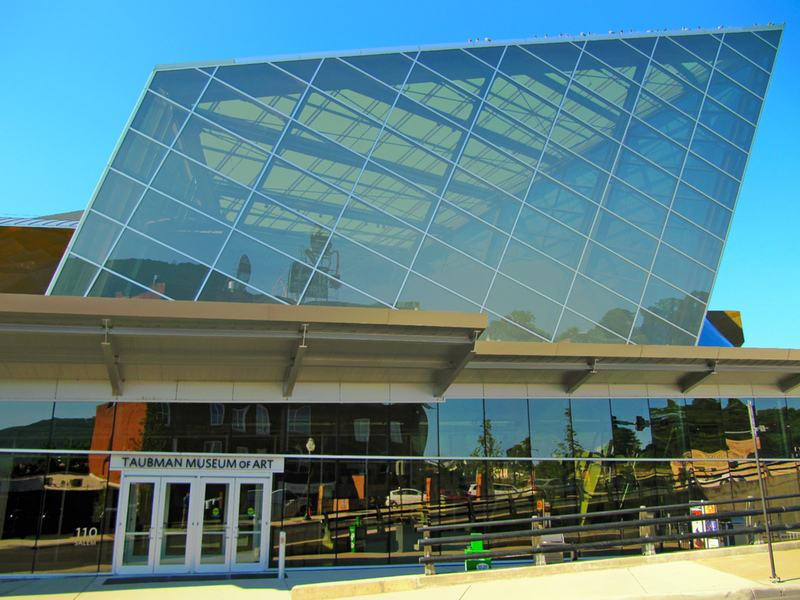 As the cultural and educational hub of southwest Virigina, you’ll find a variety of museums, art galleries, performance centers and music venues to enjoy after your charter flight. Roanoke refers to itself as “Virginia’s Music City“: the oldest music club opened here in 1908, and ever since, music of every genre is welcome here, from bluegrass, choral, classical, rock and traditional music. It’s also known as “Virginia’s Theater City“: the city hosts a variety of plays and performance throughout the year at venues including Roanoke’s Children’s Theatre, Mill Mountain Theatre, Showtimers Community Theatre, Star City Playhouse. Since early in the 19th century, the area has attracted STEM specialists (Science, Technology, Engineering, and Mathematics) in support of local railroad and transport industries. Venture outside of the city, and you’re free to explore a variety of outdoors adventure loaded with activities. Things to do within driving distance include the Appalachian Trail, the Blue Ridge Parkway, Bernard’s Landing, Bridge Water Marina, and Smith Mountain Lake State Park & Public Beach. Roanoke is home to a humid subtropical climate with four distinct, but mild seasons, despite exceeding elevations of 900 feet in the Blue Ridge Mountains. The most hazardous weather comes in the form of flooding; heavy rains, most often brought on by the remnants of Hurricane and Tropical Storm activity, is the main culprit, with heavy rainfall draining into the narrow valley. Residents and visitors of the valley may have to deal with allergies brought on by excessive pollen. The mountains are densely covered in forestation; due to childhood asthma and allergies, Wayne Newton’s family has to relocate to Phoenix for its drier climate. That said, no clinical study has proven it’s more or less of a problem here than cities with similar vegetation and weather. Still, it may be a good idea to pack your Allegra, Claritin, or Zyrtec just in case. There are plenty of hotel options within Roanoke, however, most will be chain and budget hotels. Which is appropriate, given it’s popularity as a stop during road trips and excursions through the Blue Ridge Mountains. Hotel Roanoke, an 1882 building with a Tudor-style exterior, offers the most luxurious accommodation within the city, and is within walking distance of the Taubman Museum of Art and the Berglund Center. There’s a variety of upscale B&B’s within the city, however, if you take a short drive you can choose from a variety of quaint, cozy cabins and upscale mountain lodges in and around the valley. When you book your private jet charter flights to Roanoke with ACA, you can choose from thousands of charter planes based in Virginia, across the country, and around the globe to connect you to the best aircraft for your flight. Every plane we utilize is operated by FAR Part 135 or 121 (or foreign equivalent) operators, with veteran pilots who carry substantial experience in the aircraft type you’re chartering. our brokers also review third-party audits to ensure every plane and pilot meets our safety standards, which sit atop the industry. Request a free quote from our Roanoke jet charter brokers, and we’ll provide aircraft options based on the goals and budget you provide – choose a small, cost-effective turboprop; charter a comfortable midsize jet for domestic flights, or rent the most luxurious luxury plane for transcontinental and international travel. Check out our Aircraft Gallery for more information on the charter planes available for rent. Request a Quote or give us a call at 1-888-987-JETS (5387) to speak with one of our Roanoke Private Jet Charter brokers and arrange your private flight to Southwest Virginia. We offer instant access to thousand of certified private planes, and our experience and relationships allow us to offer the best deals at the highest levels of aviation safety and service.